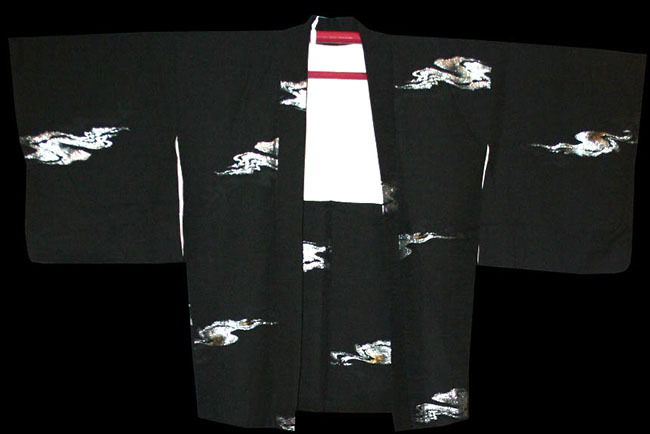 Kimoyes item: 22316 - Black silk haori with woven rib fabric and woven metallic gold and silver design. 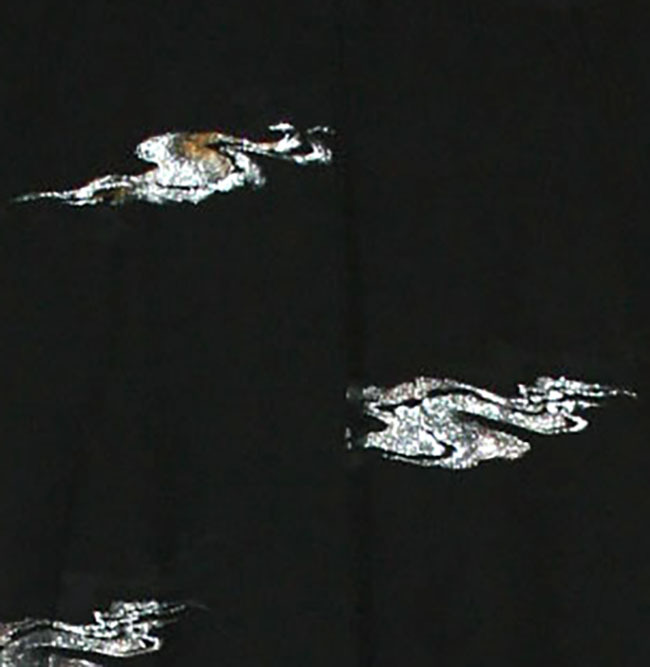 Black silk haori with woven rib fabric and woven metallic gold and silver design. 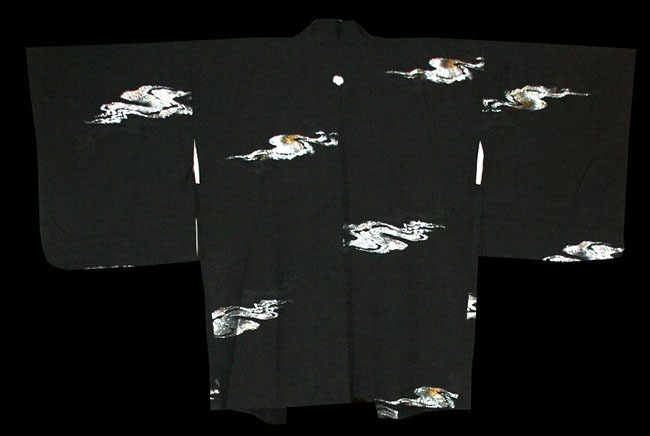 It is 31 inches in length and measures 48 inches from sleeve edge to sleeve edge.